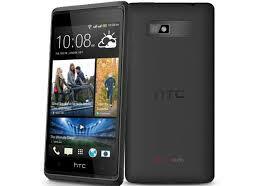 Released a few months ago, the HTC Desire 600 is one of the few HTC devices that enable dual-SIM onboard the device. And although it was released only a few months back, developers from xda-developers have already found a way to root the device. So if you’re interested, then follow this tutorial closely on how to root the HTC Desire 600 in less than an hour. However before we begin, I would like to warn you that during the process of rooting, there is a risk of bricking your own device. So if you still want to proceed, you’ll be doing it at your own risk and we will hold no responsible for any form of damage on your device. Its a good practice for you to backup your device to an external source apart from your own SD Card. Make sure your HTC Desire 600 is unlocked with custom recovery installed. Download the SuperSU by chainfire. Copy the SuperSU over to the root of your device’s SD card. Turn off the HTC Desire 600. Turn on the device by pressing both the Volume Down and Power buttons simultaneously for a moment. Select Recovery from the screen. On the Recovery screen, select install zip from sdcard and then choose zip from sdcard. Select the SuperSU file which you’ve downloaded earlier on. This will begin the flashing process. Once done, your device will reboot once. Congratulation! You’ve just rooted the HTC Desire 600.